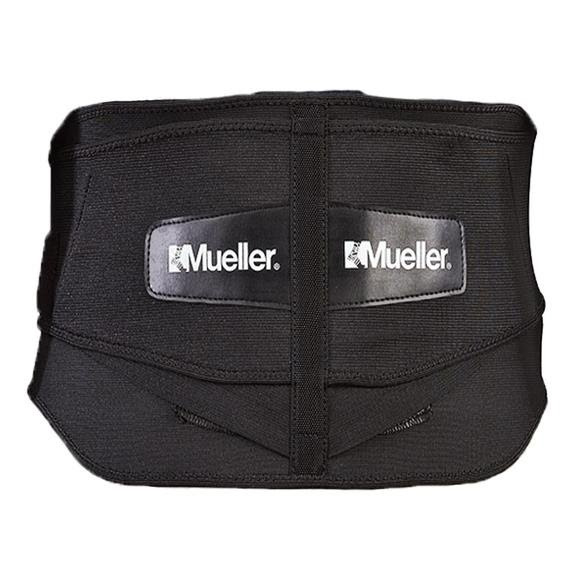 This premium back brace by Mueller helps relieve lower back pain from strains, sprains and muscle spasms. Double layer design allows for custom fit and adjustable compression to abdomen and lower back. Helps provide relief from injuries and strenuous activity to keep you active. Breathable fabric for comfortable all-day wear.